Range approx. 35-45 yd (30-40 m). Banan XL has a traditional, slightly curved shape. 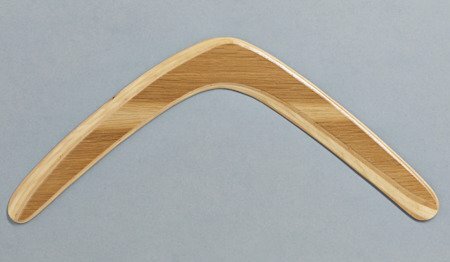 I often come across comments like - this is a real boomerang shape. 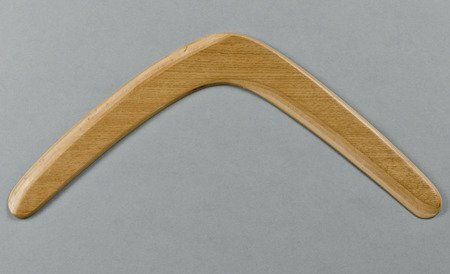 The association came from the fact that the boomerangs were originally made of naturally curved branches. Banan XL is larger cousin of my Banana boomerang. Thanks to its longer wings the flight is more stable, but because of the size it requires more force to be thrown correctly. When its thrown precisely vertically, the flying path is circle at almost constant height. When its thrown at an angle 10-15 degrees , flying path is more oval and it raises at the maximum distance, up to 6-9 meters, then it lands, spinning like a helicopter vane. 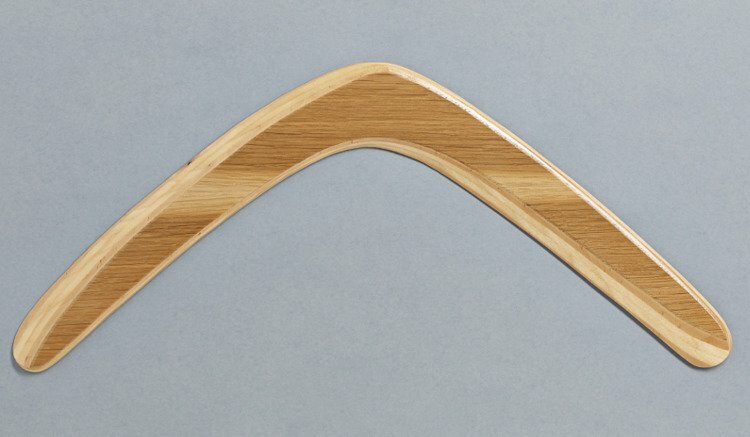 Hamdmade, veneered with oak, varnished colorless. It’s OK for the begginers, but requires firm throw.